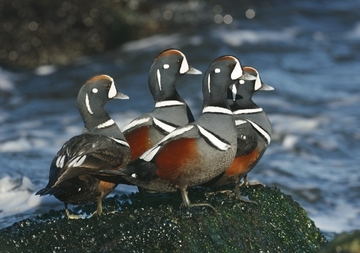 The harlequin duck (Histrionicus histrionicus) inhabits rocky coastlines in northern latitudes worldwide. Only the males sport the distinctive brightly colored plumage, so the four chaps in this photograph must be wondering where the ladies are. If they find one, they’ll do an impressive courtship dance—whistling and shaking head and tail. 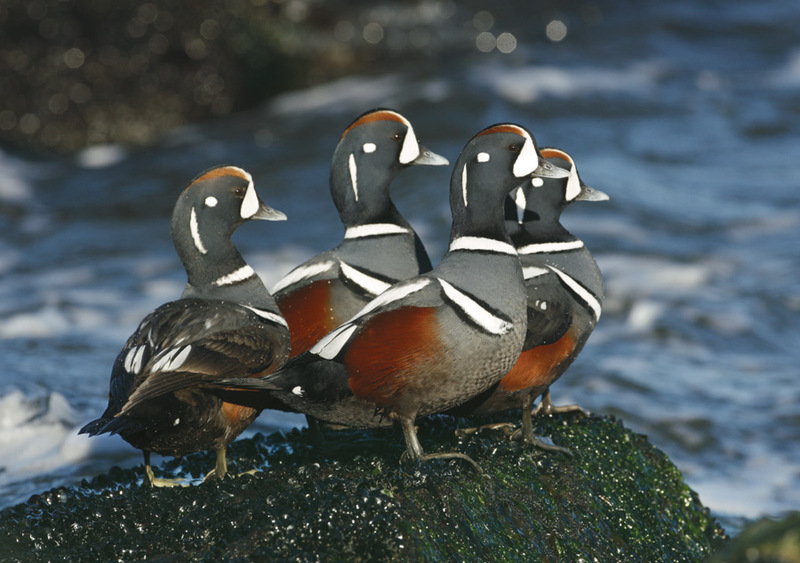 Males with the finest plumage (a sign of good health) generally get the girl, and the two will be monogamous through the May–June breeding season. They’ll nest inland a short way, next to a fast-flowing river or stream, in rocky terrain that helps conceal the nest from predators.